We are committed to your satisfaction and we value the trust our clients have given to us through the years. Check out our Client Comments page for some of their input. We offer additional references upon request. But the proof is in the pictures. 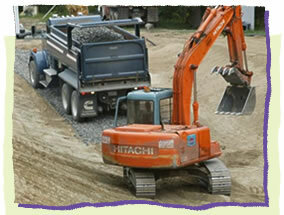 We take pride in providing the best in site preparation, excavation and land development.